As the snow began to fall in Baltimore last Tuesday, Aaron from Customer Service and I headed south to Fort Lauderdale for the Lauderdale to Key West Race. For those who aren’t familiar, it’s a 160-mile race from just outside the harbor in Fort Lauderdale to – you guessed it – Key West. Wednesday started off with a north wind blowing around 10kts, cloudy skies, and cooler temperatures in the 60s. 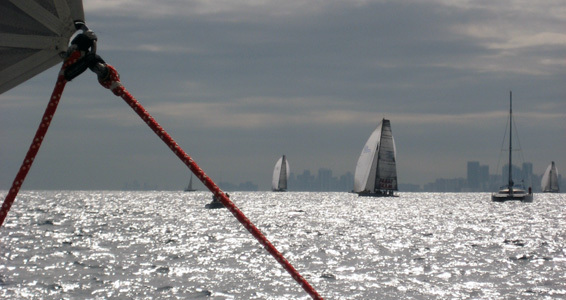 With 45 boats entered, the coast of Florida was filled with spinnakers as we made our way south. Winds constantly increased as the day went on, and with a large masthead kite up, we were able to square it back and head down the coast. 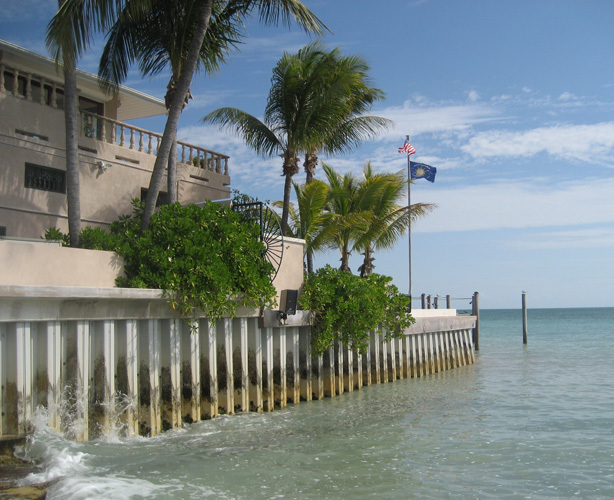 There were sightings of manatees, sea turtles, and Mahi along the way… very impressive sites to see. As the sun was setting around 7pm, our relatively calm sail turned a little more exciting when we blew up the kite on a gybe. It was the only masthead kite on board so a quick change to an asymmetric kite was in order. I will say, the timing worked out as our track was beginning to head further west. After settling in with the new kite, the sun dropped along with the temperature. The night consisted of cloudy skies clearing after a cold front moved through. Which although the temperatures dropped, the stars came out and were quite impressive. 15 – 20kts turned into 20 – 30kts, and we peeled the kite for a jib and finally, for a smaller jib. I spent most of the night on the rail, progressively adding layers until I looked more like the boy from A Christmas Story than someone sailing in the Keys. I could have used at least a few more layers on the bottom, as well as some more serious gloves. I think by the time my bag was empty I had on a Capilene 1, Capilene 3, Nike fleece/spandex top, hoodie, fleece, and a TP2 jacket…and I was still cold! As dawn approached, we rounded the tower 6 miles south of Key West and headed upwind to finish the race. After 18 hours, we were all exhausted but thrilled to finally be there! It was my first time on Key West, and it was just as pretty as everyone says. Luckily for us, the next three days got progressively warmer, and we were able to enjoy the island. With sunny skies and temperatures in the 70s, it was a welcomed change from the race temperatures. It was a great experience overall – although, a few more degrees would have been nice! Congratulations to Mirage, a Hobie 33 for taking the overall trophy and of course, a thank you to the RC for a well-run event!